P W Greenhalgh Finishing Limited is the leading home furnishing and textiles finisher in the UK. 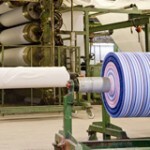 Our expertise in textile finishing, coating and lamination is unique in the industry. Our capabilities include Bleaching, Dyeing, Coating, Lamination, Powder Point Coating, Collar interlining, Fusible coating, and Garment Interlining. We are pleased to offer the Solprufe range of finishes: Being a highly regarded name within the home furnishing sector, Solprufe is well known as a high quality UK-produced fabric. Recent major investments to support our ongoing commitment to environmental issues have included sophisticated air handling systems and control of effluent quality.